According to the Insurance Council of Texas the insurance and reinsurance industry is set to pay for more than $2 billion of the losses caused by the severe hailstorms that struck around the San Antonio area of the state in April. “San Antonio’s first hailstorm on April 12 became the costliest hailstorm in Texas history and unfortunately, it was followed by two more storms in April,” commented Mark Hanna, a spokesperson for the Insurance Council of Texas. The Insurance Council gave an estimate of $1.9 billion for just the personal auto and homeowner insurance losses caused by the severe convective weather and resulting hailstorms in April, but explained that this does not include commercial losses. “This figure does not take into account any commercial losses such as schools, grocery stores, retail outlets or office buildings which could place the total insured losses well over $2 billion,” the ICT said. So it is safe to assume that the final loss tally will be significantly above the $2 billion mark, as commercial building structural damage from the hail will likely be significant. Add in any business interruption claims to insurers, and it’s easy to expect that the final bill for insurance and reinsurance markets to pay will be much higher. An April 12 hailstorm struck northwest Bexar County in Helotes producing 4.5 inch hail, before moving east/southeast crossing over north and eastern San Antonio. 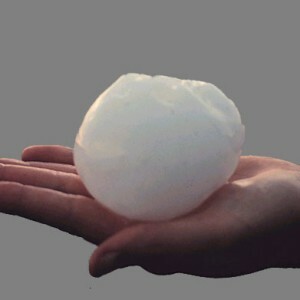 The city was hit by two more damaging hailstorms on April 25 and 29. All three storms resulted in damage to 136,000 automobiles and 125,000 homes. Texas has been particularly badly hit by severe storms and flooding this year, with hailstorms in Fort Worth and Plano in March causing $1.3 billion in insured losses and an April 11 hailstorm in Wylie caused $300 million in insured losses. In addition the severe floods earlier this year are considered another billion dollar event and currently the state is again suffering further extreme flooding, raising the bill further. The ICT reports that some insurance companies said they have already handled more wind and hail claims this year than all of last year and that meteorologists suggest more severe weather may be on its way. As we wrote previously, it was always clear that the Texas hail loss total would rise as some insurers reported outsized cat losses, and now it seems clear that the toll will be higher than perhaps expected for insurance and reinsurance, as well as any exposed ILS markets (although ILS impacts should be minimal from the event, but rising loss estimates make aggregate contracts increasingly risky). It now seems clear that the Texas hailstorm insurance industry loss for the year is perhaps nearing as much as $5 billion in aggregate, with the flooding and tornado damage to add it makes for an expensive spring for the state.